Ask Geri: Where to Buy Piglets and How Much? I’m an OFW but my local residence is in Infanta Quezon. I’m looking into starting my own piggery and I would like to ask for contact details on where I can purchase piglets. – Oliver R.
As of this moment, what is the price scheme for the piglets? Also the pricing for the live grown pigs (after 4 months)? Do we have price scheme for grown pigs like in piglets? First 10kg with this price and the rest with this price. Do you have a feed mill that you could refer me to? What is their pricing of their feeds? I hope you I could meet you and may God bless you for your sharing these information! Inquiries on our mini piggery adventure are indeed among the top queries that we get. I don’t want to dash your hopes and enthusiasm but in the spirit of transparency, I want you to know that we are no longer into hog raising after our first try. The reason is that we found the ROI small, as such we are focusing on other investments which can give us a higher ROI. We are not closing our doors on this one, it’s just that as of now, we have yet to pass through this door again . Nonetheless, I don’t want to hinder you from trying, hence I would like to direct you to some previous posts below which can hopefully address your queries. 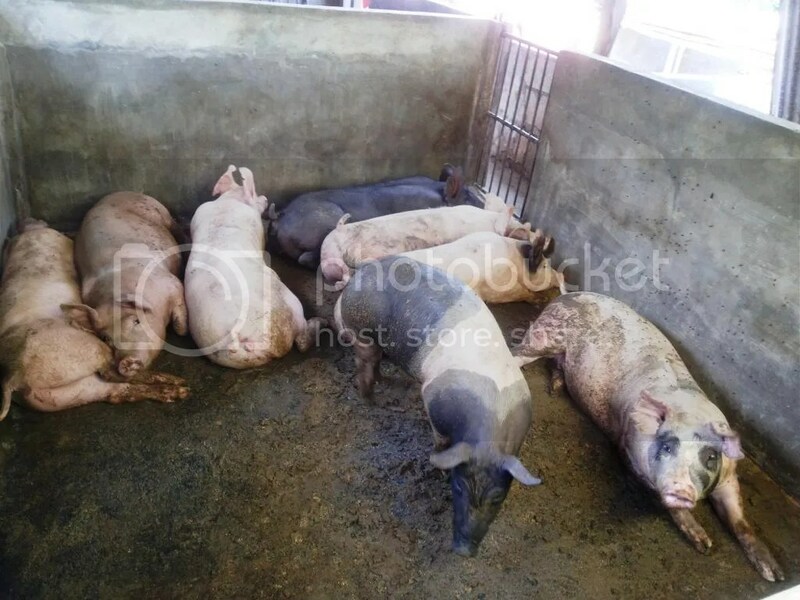 You can also find the pricing and cost details from these posts, though these may no longer be updated, since again, we haven’t reinvested in a piggery since we sold ours last year. We source our feeds from Busilac Feedmills and they are located in San Jose Batangas. As for the piglets, the usual approach is to ask existing hog raisers if they have extra piglets for sale. Normally, since the sow gives birth to so many piglets (e.g. more than 10), some hograisers opt to just grow some of it and then they opt to sell the other piglets to other interested hog raisers. As for our own piglets, we got ours from a relative, as they have a small piggery too. I shall give the contact details to you via email. Goodluck and may both of you have richer lives! Next: Next post: Inflation: Passive Expense and How Much Just To Keep Up? Good day Mr. Geri, I’m Jo from Tanauan City, Batangas, My family wants to start piggery business as soon as possible, in fact we already have location for its farm, I would like to ask where we can buy piglets inexpensively near in batangas. Just message me here 09159531373. Thank you. Hi Jocelyn. I have a Aunt who lives in San Jose Batangas, they sometimes sell piglets. Is that near enough for you in Tanauan? If yes, I can give her contact number.